Sauna sessions can be safely called the godsend of the humanity. They do not only provide us with an opportunity to relax and escape from daily routine, but also help to relieve symptoms of many diseases and strengthen our immune system. 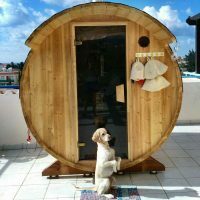 Sauna is good for prevention of cardiovascular and nervous system diseases; it speeds up metabolism, alleviates pains from rheumatism and arthritis, and promotes muscle relaxation and stress reduction. 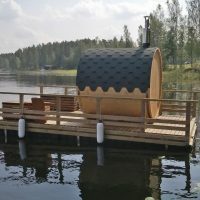 Despite the opportunity to choose from the wide range of sauna sizes and designs, one can easily customise his own sauna ritual by adding various scents, using different brooms, cosmetics for body treatment like scrubs and masks, and drinking herbal teas after the sauna. 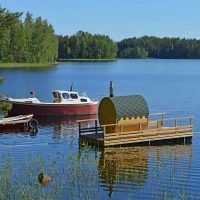 Undoubtedly, the scent of natural wood is one of the major advantages of sauna. The former can be complemented with the scent of spruce needles, Eucalyptus, Melissa, Camomile, honey, bread kvass or even beer. Just add some herbal decoction or sprinkle the mixture of liquids with water to the hot stones in a steam room! 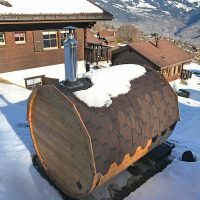 Horizontal Barrel sauna has both highly functional and incredibly stylish design. An unusual ergonomic round shape facilitates more even heating of the air in a steam room and longer period of heat preservation. 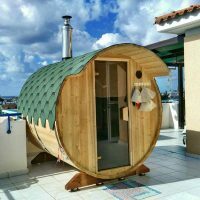 Thus, a sauna equipped with a wood-burning stove will reach appropriate temperature within 1 hour, while with an electric stove – 2 hours. 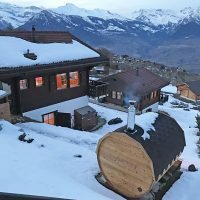 Such a space of time is considered optimal for heating sauna, as too fast temperature rise can not only be harmful to your sauna but it may also be fire-hazardous. 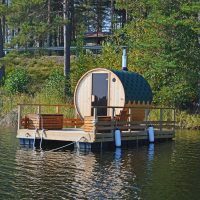 Depending on size of a particular sauna, it can accommodate from 4 to 8 people. In order to make your rest even more comfortable, we have extended our standard sauna and added to it a dressing room. 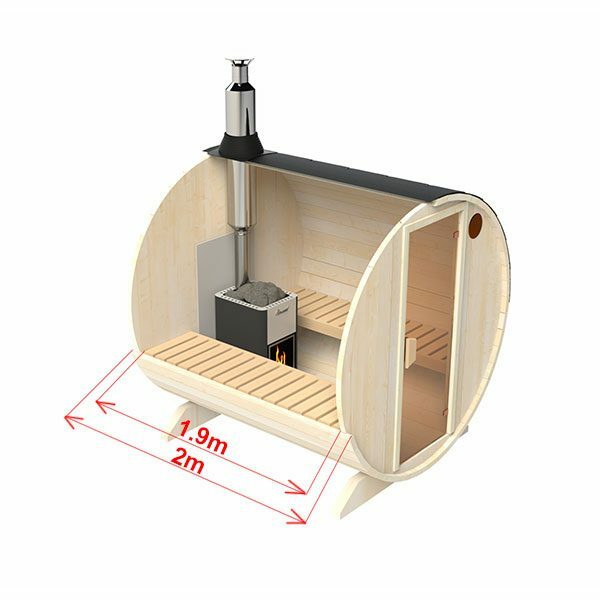 Both sauna types can be decorated with a 0,4 m canopy. 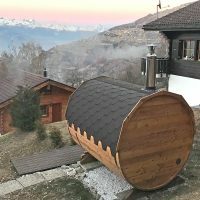 Standard sauna equipped with a canopy looks more cosy and complete.